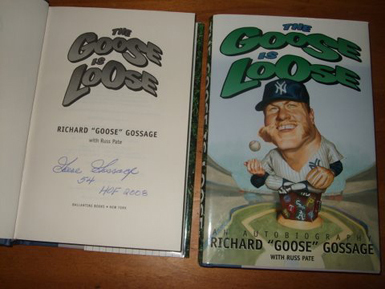 Every baseball fan knows Goose Gossage as one of the great relief pitchers of all-time. But in his amazingly rich memoir, Gossage reveals that he is also one of the best - and funniest - writers in sports. Wisecracking, warmhearted, endlessly entertaining, Gossage Gossage has a million hilarious stories, and in The Goose Is Loose he tells them all with incomparable wit and style. Applicable shipping, handling and insurance will be calculated prior to shipping.